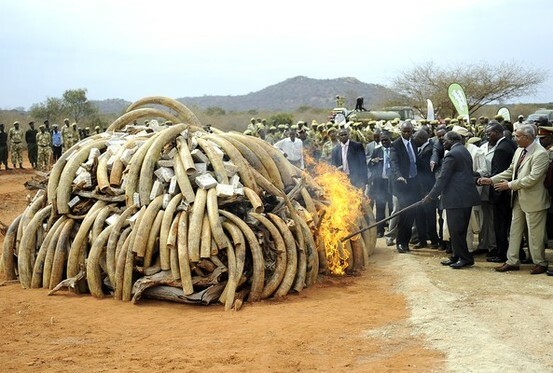 Alarmed that rebel militias could be profiting from a sharp increase in the poaching of elephants and rhinos, the U.S. plans to step up efforts to build a global coalition to combat the illegal wildlife trade, Secretary of State Hillary Rodham Clinton says. Speaking before animal activists and several international ambassadors, Clinton told a crowd in Washington on Thursday that poachers are using helicopters, night vision goggles and automatic weapons to hunt down wildlife. She wants world leaders to increase their focus on combating the problem and said that she and President Barack Obama will speak to Asian leaders about it next week at the East Asia Summit. Elephants across Africa are being slaughtered by the thousands for their ivory tusks, which are shipped to Asia, particularly China, and made into ivory trinkets. 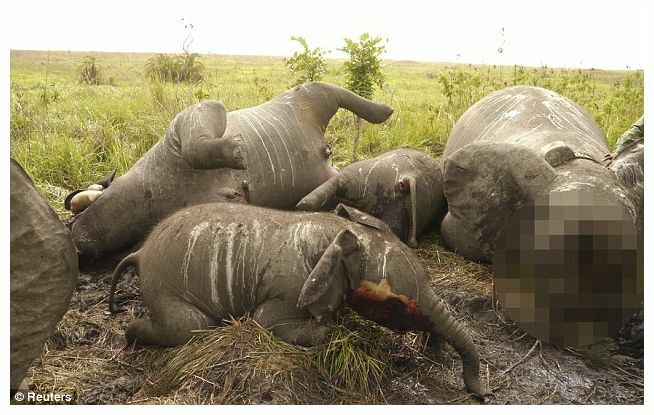 In Tanzania alone, 10,000 elephants a year are said to be killed by poachers. Rhino horns are in great demand globally, particularly in Southeast Asia, ground up for use as alleged aphrodisiacs and in traditional medicines or turned into decorative dagger handles. 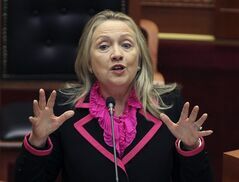 Clinton said the U.S. will reach out to leaders around the world to forge a consensus on wildlife protection. The U.S. also plans to launch initiatives and expand and strengthen enforcement of wildlife laws. She noted with regret that the U.S. is the second-largest destination market for illegally trafficked wildlife. 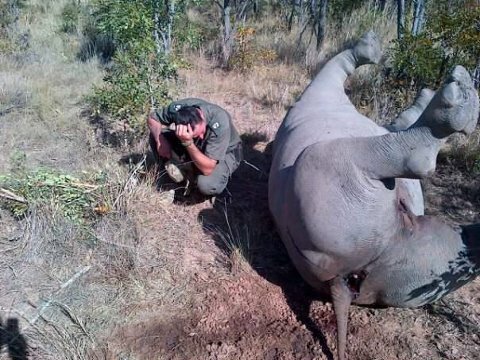 Elsewhere on Friday, a South African court sentenced a Thai national to 40 years for selling rhino horns. Chumlong Lemtongthai pleaded guilty to paying prostitutes who posed as hunters to harvest rhino horns, which were then sold on Asia’s traditional medicine market, according to the South African Press Association. 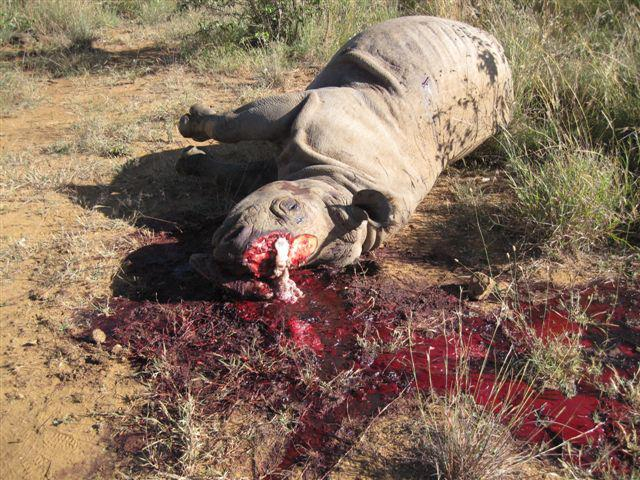 At least 458 of South Africa’s endangered rhinos have been illegally killed this year _ a record number. 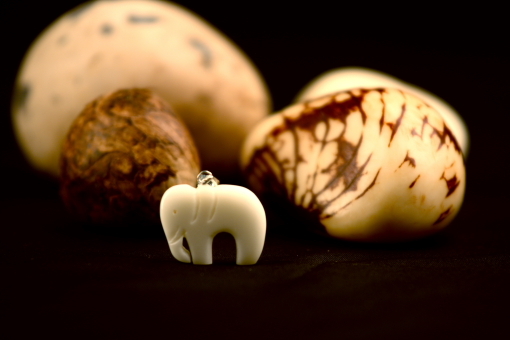 VEGETABLE IVORY REPLACES ELEPHANT IVORY: MAKE A CHOICE & MAKE A DIFFERENCE. VEGETABLE IVORY DESIGNS BY SELVA-VIDA SIN FRONTERAS.